Christina Ying spoke to the Asian American Bar Association of New York's Real Estate and Solo & Small Firm Committees about development projects in Flushing, Queens. 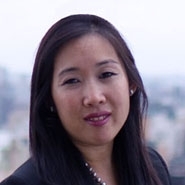 Using a recent example from her practice, Christina explained how XIN Development Group International, Inc. (“XIN”) acquired a parcel of land in Flushing for $66 million. XIN plans to build a mixed-use condominium with ground and second-floor retail on the site of the former RKO Keith Theater.